Antoine de Saint-Exupéry used his love for doodling to create his own watercolor illustrations for The Little Prince. 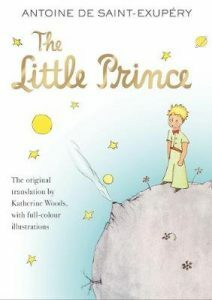 The Little Prince was first published in the U.S in English and French but would be later translated into over 250 languages. The French version of the novel was titled Le Petit Prince. It is said that the character of the rose was based on Saint-Exupéry’s wife Consuelo who later wrote an autobiography titled The Tale of The Rose. The narrator’s plane crash in the Sahara was based on Saint-Exupéry’s own plane crash in a desert near Cairo. The disappearance of The Little Prince at the end of the novel resembles that of Saint-Exupéry’s in 1944. The author’s body was never found and only remnants of his plane and his bracelet were ever discovered. Saint-Exupéry did not live to see The Little Prince published in his home country as it was banned due to his exile. The novel’s most recent adaptation was a 2015 animated film directed by Mark Osborne with an alteration to the original story.